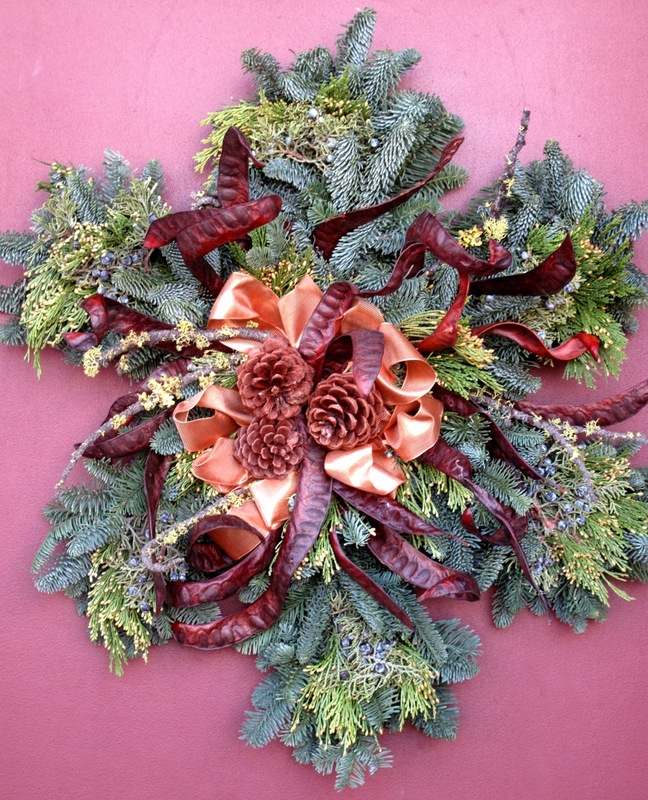 A bit off shape today but still on topic, I decided to share this most lovely Holiday decor created by fellow gardening friend, author, speaker – Mary Ann Newcomer. Mary Ann, quite the creative type, did what gardener’s do, added natural elements such as twigs and locust pods to this evergreen base. Then, a bit of soft dazzle with copper ribbon creating wonderful color depth while contrasting with the overall color and texture. Most striking Mary Ann! How about you? Do you strive for ‘artistic flair’ in your garden? Have your tried bringing more of the outside inside this holiday season? We have, with debatable results. I like your wreath, though. Happy holidays!